NASA has launched a live HD video feed from the International Space Station as part of a new experiment to test whether camera equipment can withstand conditions in outer space and be used on future voyages. 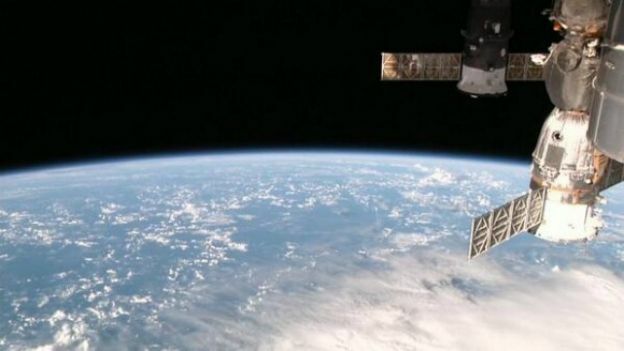 NASA launched its High Definition Earth Viewing (HDEV) experiment from the “trunk” of the SpaceX Dragon spacecraft and has set it up outside the International Space Station. Four HD cameras are now fully operational after being installed on the External Payload Facility of the ESA Columbus module. The cameras and electronics are enclosed in a pressurized box to provide protection to the equipment from the harsh environment of space. The purpose of the experiment is to assess the effects of the space environment on the video equipment and video quality which may help decisions about cameras for future missions. Exposing the cameras to the radiation and space environment of low-Earth orbit will demonstrate how well they work and how long they can last. It's particularly cool as the whole experiment is part of a student project, with High school students having designed some of the HDEC components and overseeing the equipment. The live stream provides some incredible images of Earth from an astronaut's perspective. The video feed will be running 24/7, although it may appear black when the ISS is in orbital night which occurs every 90 minutes for around 40 minutes. Spotted something interesting? Let us know in the comments box below.